Used guns hold their value very well and do go up over time, depending on the gun. 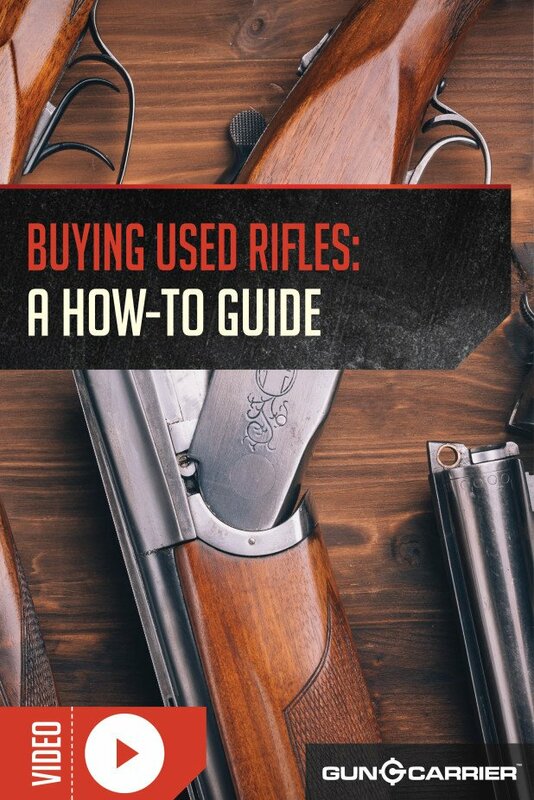 Today we are going to cover purchasing a used gun, specifically a used rifle. We want to cover what to look for, good and bad, in a used rifle. When you are buying a used gun you want to be sure that you find one that will last you a generation or more which can easily be done depending on how the gun is cared for and maintained. Here we have a list of what to check and what to look for on each part. For rifles you are going to either have a synthetic or a wood stock on the firearm. The first thing you want to look for in a rifle is that there is no splitting in the stock. This is the main thing you are going to be looking for. If you have a split or broken stock you will have some major issues with the firearm and will definitely effect the price of the gun. Make sure that the stock and wood of the rifle is sealed and not warped in any way. The crown is the very tip of the muzzle on the rifle. The best way to inspect this is to look straight at it. Be sure that before you do this that you open the action and make 100% sure that there is nothing in the firearm. Stick your finger in there just to be sure nothing is inside the chamber. When you look at the crown it should be shiny, without pitting and not excessively oiled. If it is excessively oil you probably have a problem. The excessive oil is a tell tale sign that something is being hidden from you. Clean the barrel, clean the crown with a cleaning rod, if you do not carry one around with you like most people you can easily bring a barrel snake to do the job. Look for rust. The one shown here had a tiny bit of surface rust but it didn’t go deep and was not a deal breaker. The rust was taken off with some steel wool and blued the barrel to protect it from further rusting. 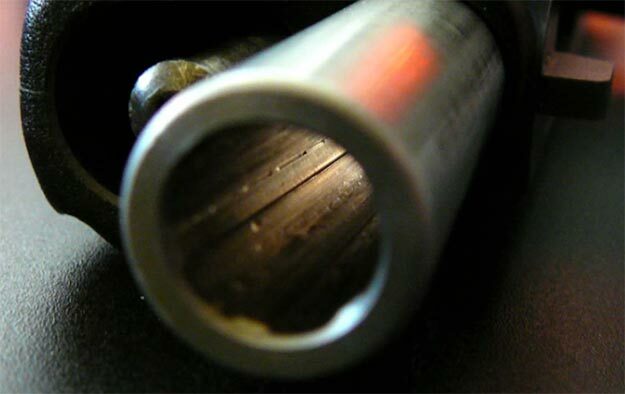 If you have a flashlight or a bore light use it to illuminate the interior of the barrel and look down your muzzle to see how the rifling is. You want the bore to be shiny and not dark and frosty. If you have a dark and frosty bore that means that there is probably some rust and corrosion occurring inside you barrel. Be sure that your rifling is crisp and has good grooves. Ask if the barrel is bedded or free floated. If it is supposed to be free floated you can take a dollar bill or something the same and slide it from the end all the way to the action without any snags or hangups. If it is bedded then you will not be able to do this. You do want to check on the bedded rifles for bulging or inletting issues. If there is bulging in the barrel it probably will not shoot well or safely. If you cannot remove your bolt check the bolt face with a flashlight. Look for cleanliness, the firing hole isn’t overly large or with any dirt or corrosion inside. The bolt should also not be excessively greased or oiled. For the action you want to check to see how it is bedded to the stock, look for pitting and major wear and tear. If you can get some dummy rounds and some headspace gauges if you know what you are looking for already. If you have some dummy rounds check and see how the trigger pull is with the dummy round in.